Design, innovation and unlimited style choices make Aluminum clad windows an industry leading option. Learn more today about upgrading your homes energy efficiency. 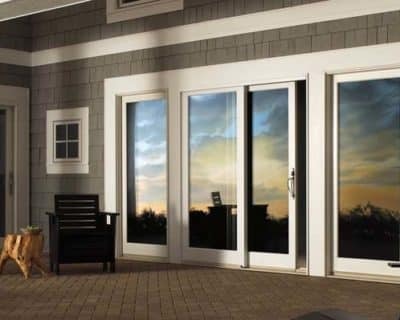 Window Design Group offers the industries highest collection of aluminum clad wood windows and doors that include a extensive range of design innovations, styles, and hardware options that will complement your own unique sense of style. Surpassing what you would ever expect possible, aluminum clad wood windows and doors provide you extreme energy efficiency paired with a vast selection of styles, shapes and sizes that allow you to create almost limitless design solutions with trusted performance. Aluminum Clad wood windows and doors feature an extruded aluminum exterior and real wood interior. Aluminum wood clad is available in a variety of styles including patio doors, french doors, bi-folding doors, sliders, casement, hung, bows, bays, picture combination windows and more. These unique design options paired with our dozens of grille, trim and interior finish options combine to create thousands of window and door styles guaranteed to fit the style of your home. Aluminum Clad wood windows and doors are the perfect choice for a home looking for windows or doors with a timeless and elegant look with modern day efficiency.You get a carefree exterior, plus all the beauty of a natural wood interior. – Our wood and aluminum clad wood windows offer nine wood species options and more than fifty color selections. These combine to create thousands of custom color options for your new windows. Our wood interiors make it easy to match existing woodwork. We can seal them with a clear sealant for a natural look or custom stain to achieve everything from a maple to a cherry appearance.